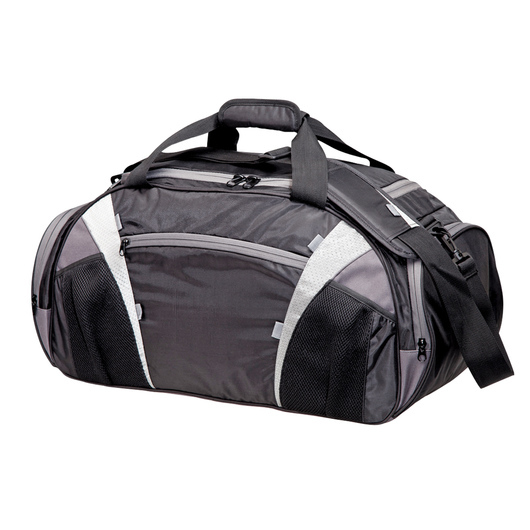 Perfect for a trip to the gym, or just traveling around, this sports bag will keep all your essentials safe in style. Simple and sporty, this sports bag has all the basics and a sense of style for extra points! 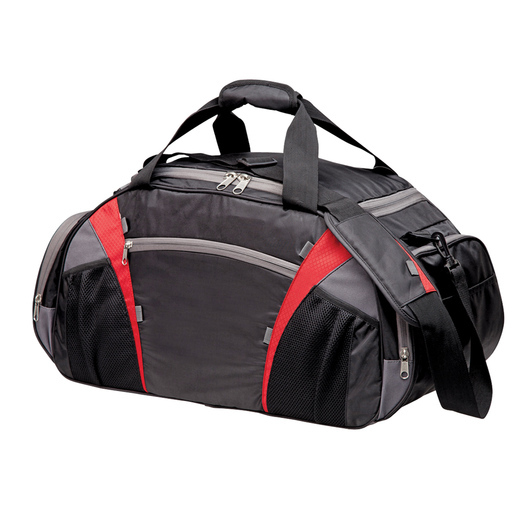 Its huge capacity, easy U-shaped opening, and a racy look makes this sports bag the choice of winners. Made from durable 420D/Diamond Ripstop/600D polyester material, it has a carrying capacity of 58 litres. It features a U-shape double zippered main compartment, single zippered front pocket, single zippered large end pockets, rubber feet on base, diamond ripstop feature panels, webbing carry handles with Velcro wrap, detachable and adjustable shoulder strap with pad, two elasticated top air mesh slip pockets at front, business card holder on back, and a baseboard for extra protection. 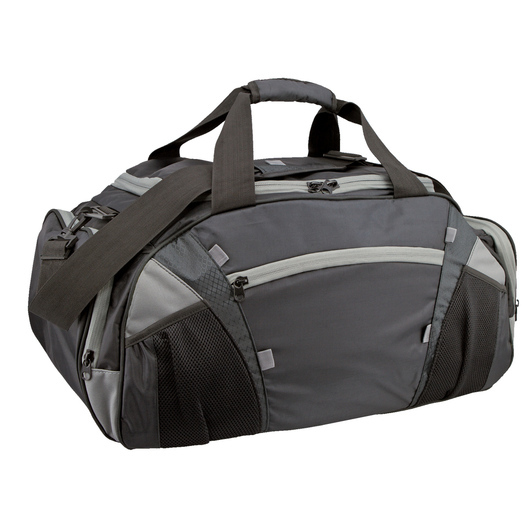 Highly recommended as a everyday gym bag, or travel bag. Great for school, work, travelling light, and many more!